Key words: biosonification, natural oscillation, vibration, analogue, bioanalogue. 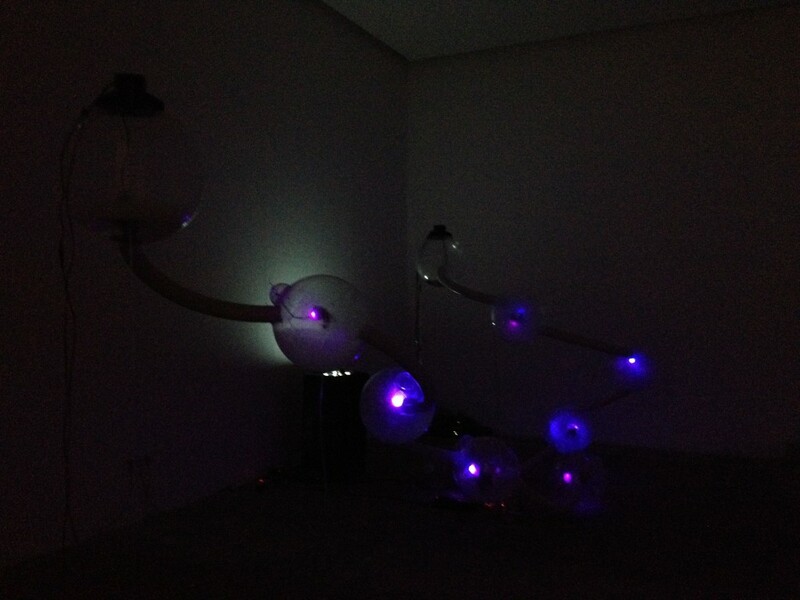 Communication is sonification of an environment as well as sonification of a process. It is a step towards understanding communication and coexistence of interspecies. 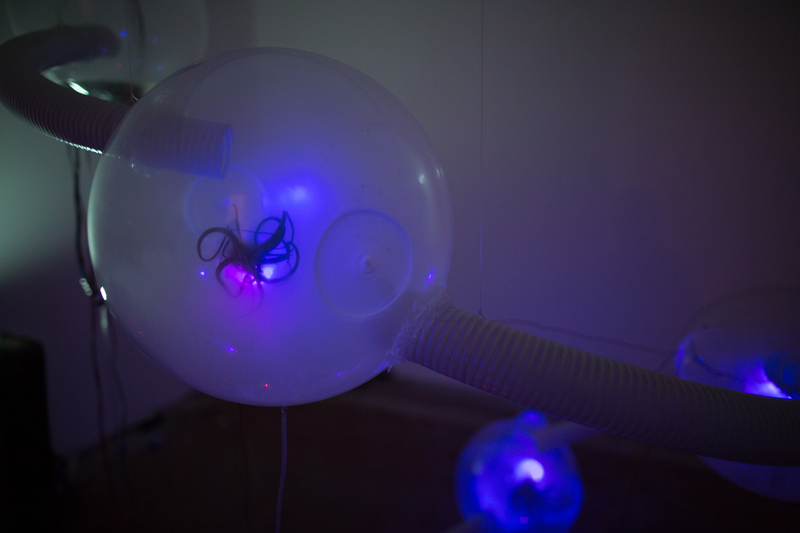 Analogue oscillators do not only exist in the field of electronic circuits but also in nature, which is why this projects attempts to continue the development of in-depth research on natural electronic synthesizers – natural sound objects. In the field of natural sciences, notably biology, the use of natural oscillators is closely connected to the studies exploring how the natural world functions within its temporal structure. A simple example of this is the common functioning of the heart and circadian rhythms, which means, in other words, the information flow of bodily working processes. The circadian rhythm enables us to understand and monitor time, and to maintain our everyday rhythm on the basis of electrochemical oscillation of our cells. 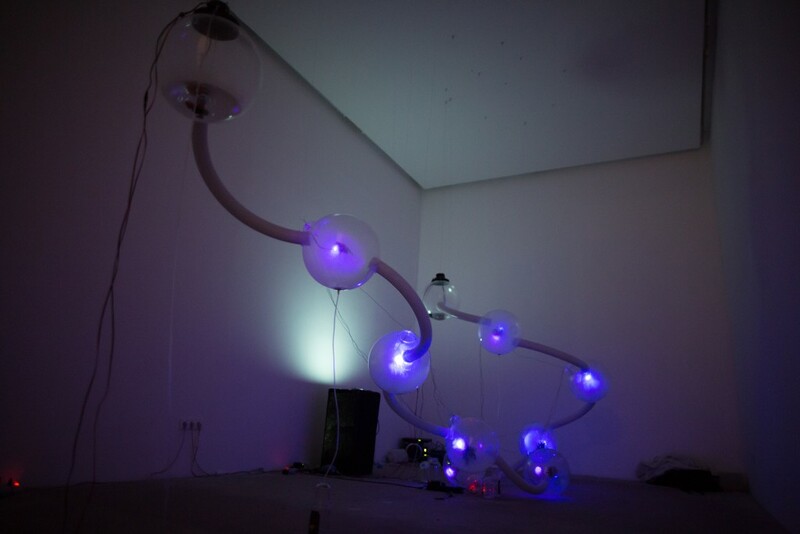 The project aim focuses on the study of living systems and the establishment of a specific oscillation that runs through them, and tends to assemble a sonic-visual experience. 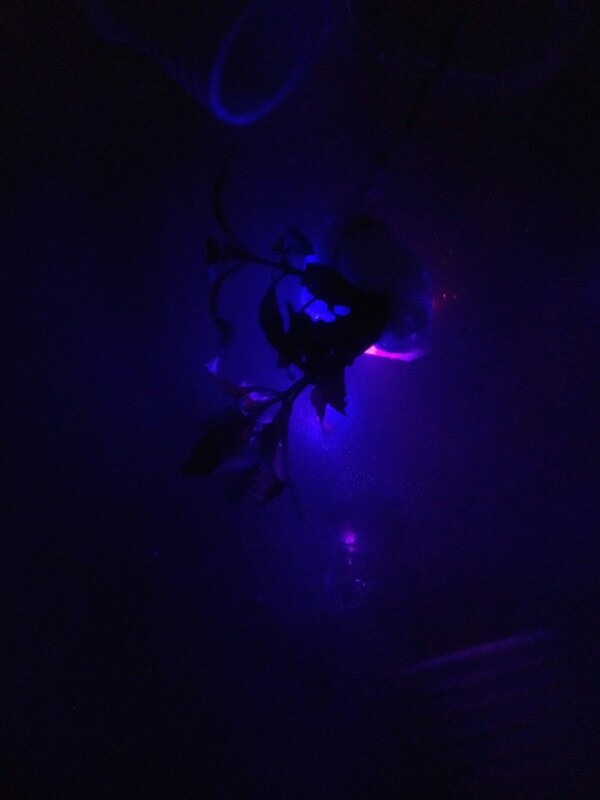 The installation explores the symbiotic relationship and coexistence between human beings and plants. Furthermore, it tries to evoke the possibility of developing technologies that are nature-centric rather than human-centric (anthropocentric). The extensive research also considers the active relationship between objects in the gallery space and the visitors’ bodies. 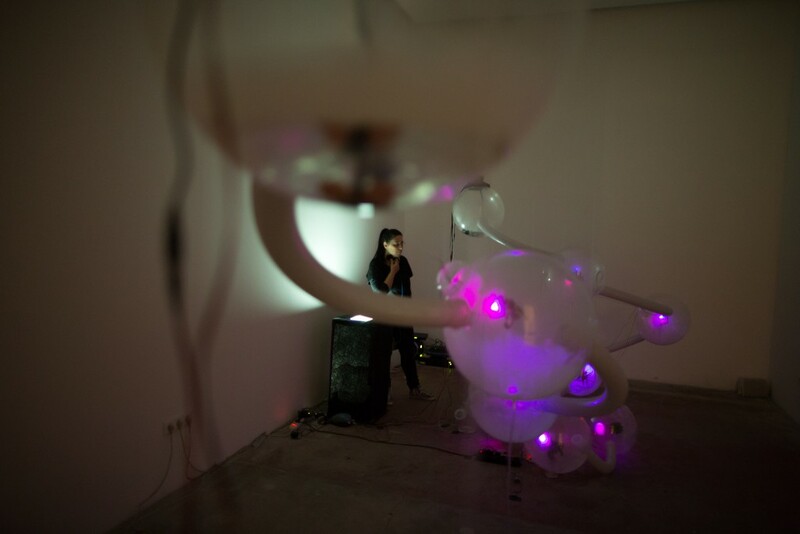 As visitors engage with the installation, they activate the sound system embedded in the objects, which in turn triggers natural and artificial/synthetic sounds. The installation therefore aims to bring elements of technology and nature together in a complex and thought-provoking dialogue. 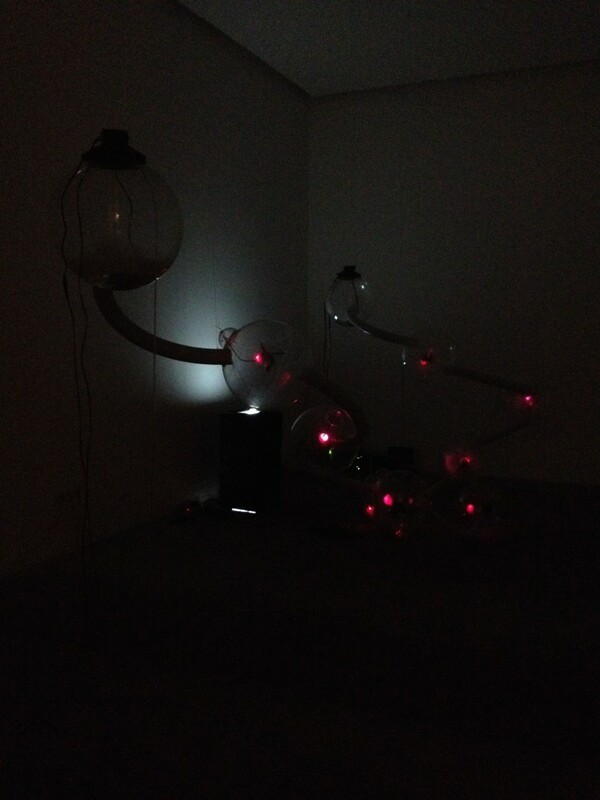 This entry was tagged analogue, bioanalogue, biosonification, Kibla, KIBLIX, Living system, Monika Pocrnjić, natural oscillation, Oscillatorium, Robertina Sebjanic, vibration. Bookmark the permalink.